A screengrab from the online calculator. 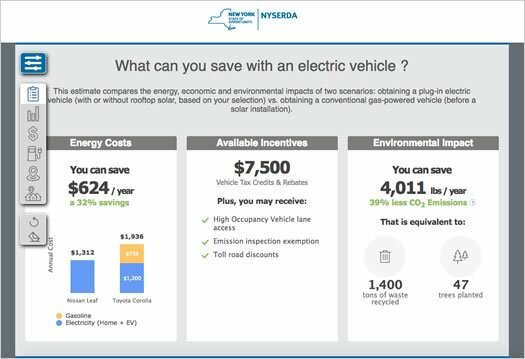 And this was interesting: NYSERDA has put together an online calculator that attempts to estimate how whether buying an electric vehicle makes sense for someone versus a traditional gasoline-powered car -- both in terms of functionality and cost. The calculator asks questions about the type of car you're interested in, how far you drive, a typical electric bill, even whether you might be considering solar panels. Also, as the blurb mentions, there's a recent an effort to get more charging stations installed. Here's a map of stations around the state. I believe the new incentives are a good idea. The gas tax needs to be dealt with in a fair manner. The "vehicle mileage tax" is the only across the board system I know of that addresses all classes of vehicles. Federal tax credit is up to $7,500 not $7,000. 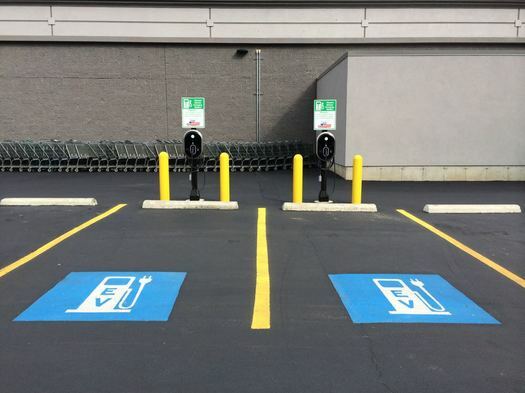 The Capital District has an EV Charging Station Plan, which is part of a larger I-90 Corridor Plan. The Capital District Clean Communities Coalition, based in Albany, is part of the US Department of Energy's Clean Cities program and provides education and outreach services on alternative fuels and advanced vehicle technologies. They meet quarterly, collect fuel use data, host events, and provide technical assistance to local fleets that want to convert to alt fuels or electric.